Only 1 week until my 41st birthday! With fresh goals and a winning mindset, I’m ready to start this year off with a bang. Monthly I schedule some sort of event either local or online to invite, engage and entertain prospective costumers, consultants and connectors. 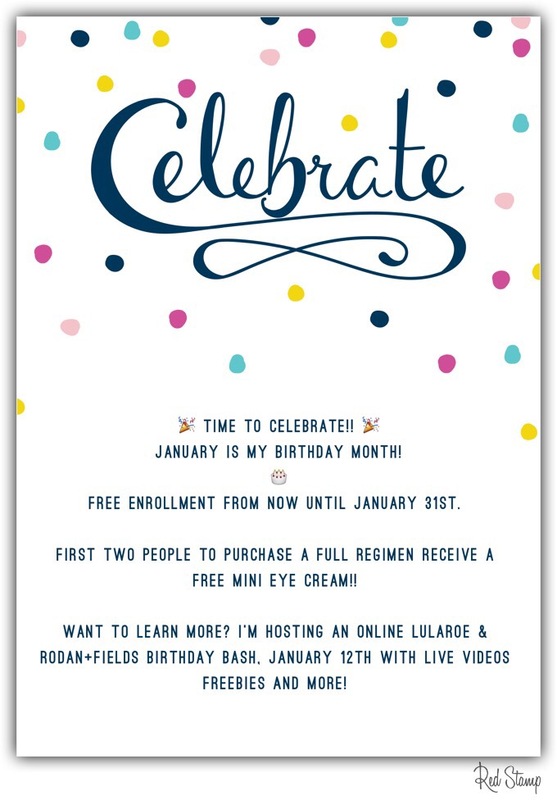 With Rodan+Fields being an online storefront, this January I wanted to feature a Facebook or Snapchat virtual party. Here are my top 5 suggestions on how to plan and host your own virtual event. What is your style are you a planner or are you spontaneous? Me? I’m a planner. Events on my calendar are scheduled a couple weeks out to give me plenty of time to draft my posts, consider my live videos and invite people to the party. The more I plan the better my attendance, fluid party posts and involvement. Once I have scheduled my party, it’s time to create an invitation. One of my favorite apps for creating simple invites is WordSwag. Here you choose your theme, add the words and play with the style until you get an invitation you like. Finally create the Facebook or Snapchat online party and get prepare or the Step 2. That’s it! Some ignore, others say no thanks but many say “Yes!” Even if they are current preferred customers or other consultants, invite and welcome them. Not only does it help to have support but you already know they love the products. Schedule and plan your event carefully. My event is going to be over a 24 hour period. During the day I’ll have a few live videos, I’ll highlighting how I blend Rodan+Fields into my daily life and feature some of my favorite products. This event I’m planning four to five videos and I’m keeping them short. Between the video I’ll post before and afters and informative posts (including mine and my husbands). I’m trying to limit them to only 10 posts. 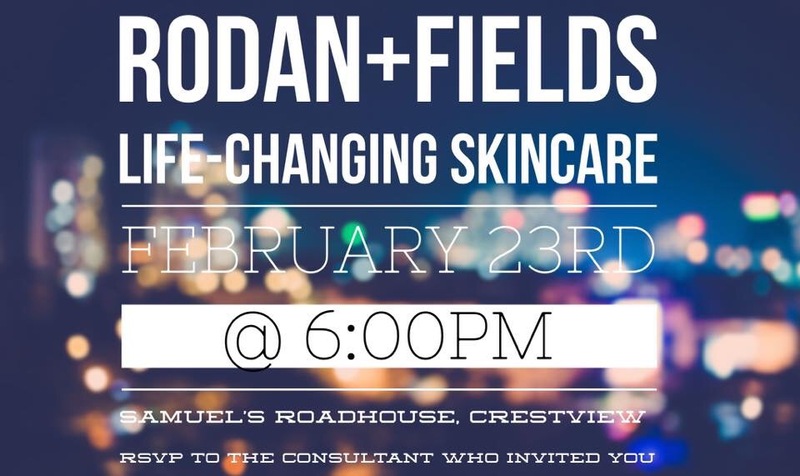 For my Birthday Bash, I have asked a couple “guest” speakers to pop on and chat about their favorite Rodan+Fields products and their personal journey. Finally, that evening I am planning a local birthday bash to conclude the event and show the joy and fun of being a consultant. Who doesn’t love free products and gifts? In stock I have a couple “Active Hydration” samples our lovely “Give it a Glow” sample packs and some amazing essential products. Additionally, I picked up small gift cards from Amazon, Panera and Starbucks. For the grand prize I’m putting together a winter survival goodie basket with a sample of Active Hydration, a few lip serums, a sample of the every popular Microdermabrasion Paste and a Sunless Tanner. Guest can win one of these goodies just by clicking attending. While other guests will have a chance to participate within the party by engaging through comments and likes. Did people participate with comments? Did you have have anyone take the Solution’s Tool? Follow up and set a time to meet for coffee, chat over the phone or personal message. Ask them how you can help or what piqued their interest. Focus on their needs and wants and see how you can best support them in their goals. Do these 5 steps sounds easy and doable? Is something you would like to try? Are you considering if Rodan+Fields would be a good fit for you? 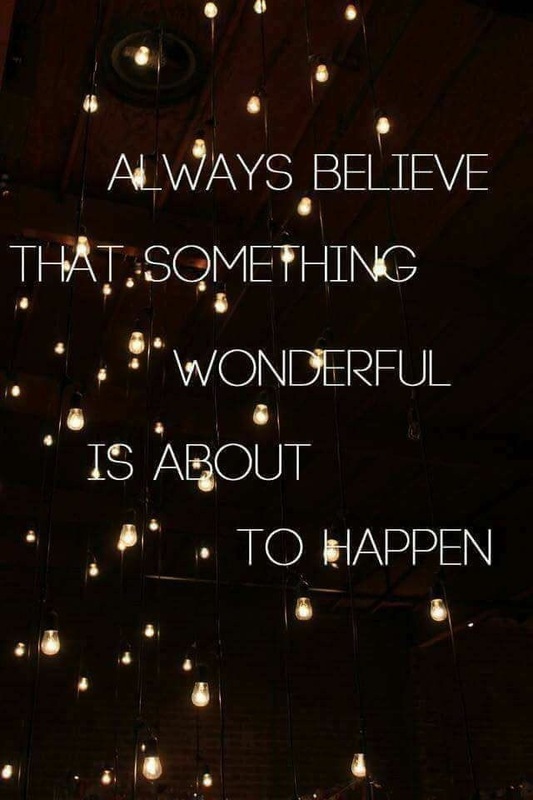 I’m here to tell you, Rodan+Field has amazing projects, an incredible supportive team and an excellent business plan. On the horizon there is excitement and more to come as this innovative company always exceeds my expectations! Please reach out, I sure love my journey and I’d love to help you achieve your goals! A special shout out and thank you to Deev Murphy a talented writer, fellow WordPress Blogger and life-long friend who recently gave me accolades on her blog! Thank you for the kind words and loving message. May you continue to recognize the talents you have and the gifts you bring so many others! Thank you also to all who are supporting my dream and propelling me forward! I am grateful for my knowledgeable team, all my admiring readers, satisfied preferred customers and my enthusiastic connectors. Preferred customers are the heart of my business and what a better time then the holidays to give back and say thank you to those who have supported my journey. 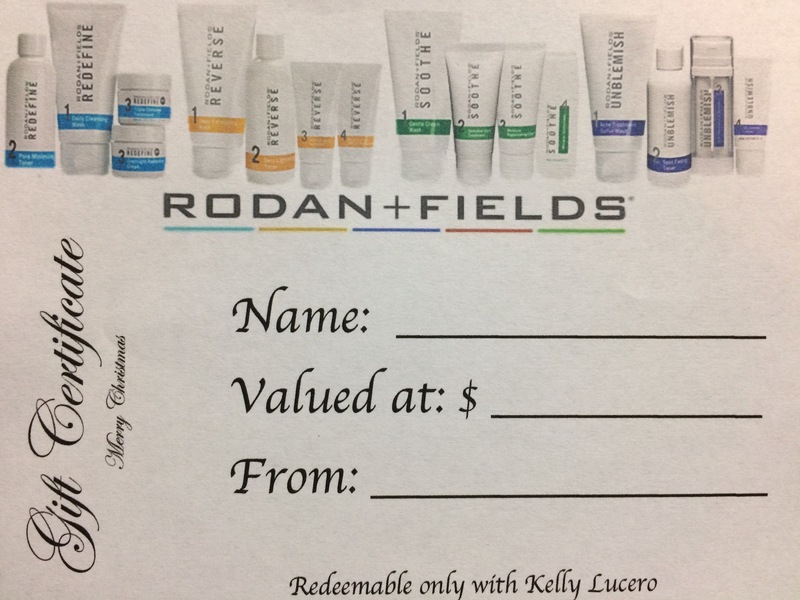 As a special treat, this Christmas, preferred customers will receive a scratch off coupon with a variety of gifts and goodies ($10.00, $20.00, free essential item or free eye cream) off their next order of $80.00 or more. March 31, 2018 is the date set for expiration so there is plenty of time to claim their offer. Want to order, click here for my Etsy sight for a downloadable PDF. Want it personalized with your name or a different value in each ticket, please annotate on the order. Print on cardstock or resume paper for a more formal look. On the back of the card, I placed a label with my contact information. Adorable Christmas backgrounds are from Pixabay.com. Never did I ever envision my schedule to look like coffee dates, playdates, and carpool like it does now. I always envisioned I would be a mom, but I had always believed I would still be teaching. Do I miss teaching, yes! Do I love education, of course! But, right now I’m loving life with my three beautiful children and handsome husband. Rodan+Fields gives me flexibility and freedom to be there for my family but still participate in education not only through my website venture2learn.com but also through my customers, friends and family. Now for even more exciting news! 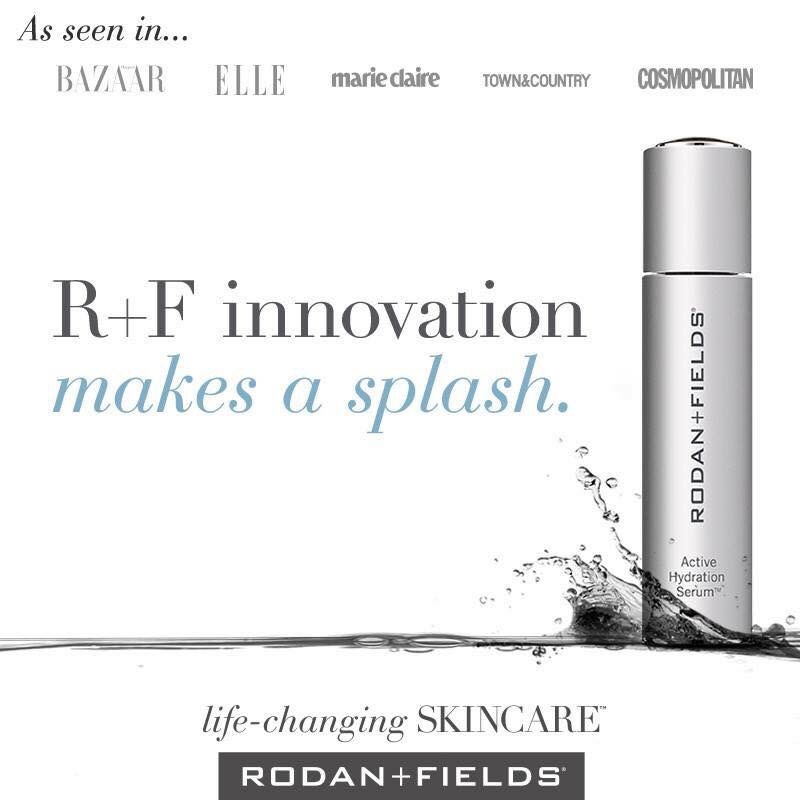 Rodan+Fields released 3 new products this year!! I’m already loving all three of these treasures! 1. Redefine Intensive Renewing Serum! 2. Active Hydration Bright Eye Complex! 👀 Clinically proven to brighten skin, decrease dark circles & eliminate puffiness around those tired eyes! 👀 A product that can be used with our Multi-function Eye Cream! 3. Amp MD Roller 2.0! Check out these adorable bundles available now!! It’s back! After being sold out since late June, Lash Boost, as a stand-alone product is back in stock. One of my all time favorite products, Lash Boost has exceeded my expectations. From little stubs to lovely full lashes, I’m hooked. So how does Lash Boost work exactly? 1. First, It MOISTURIZES the eye lash with sodium hyaluronate! 2. Next, Lash Boost provides NUTRITION to the lash through 3 different amino acid peptides! 3. Then, Lash Boost PROTECTS the lash from breakage and brittleness with biotin and keratin! If that wasn’t enough, here’s what else differentiates LASH BOOST in the marketplace! -It’s a single tube application, so no multiple disposable brushes! -Comes in a full 60-day quantity with our 60-day, money-back guarantee! Just one swipe across the base of the eye lid and you are done! Fast, Easy, Fun and Effective!!! Rodan+Fields has given me the gift of freedom! Thanks to my amazing customers and support network, I am able to work from home giving me the time to write, blog and be available for our children. Plus, it has given us extra funds to provide for our three. Now my husband and I are dreaming of adventures and new goals for our family. What could it do for you? 💦 200% more hydration on the FIRST try. 💦 30% Glycerin bound to Hyaluronic Acid. 💦 SELF ADJUSTING to YOUR skin type. 💦 BOOSTS your regimens results. 💦 EVERY PC Regimen order in May/June gets a 3 day sample of this magic!! To say I’m excited by the newest product is an understatement. 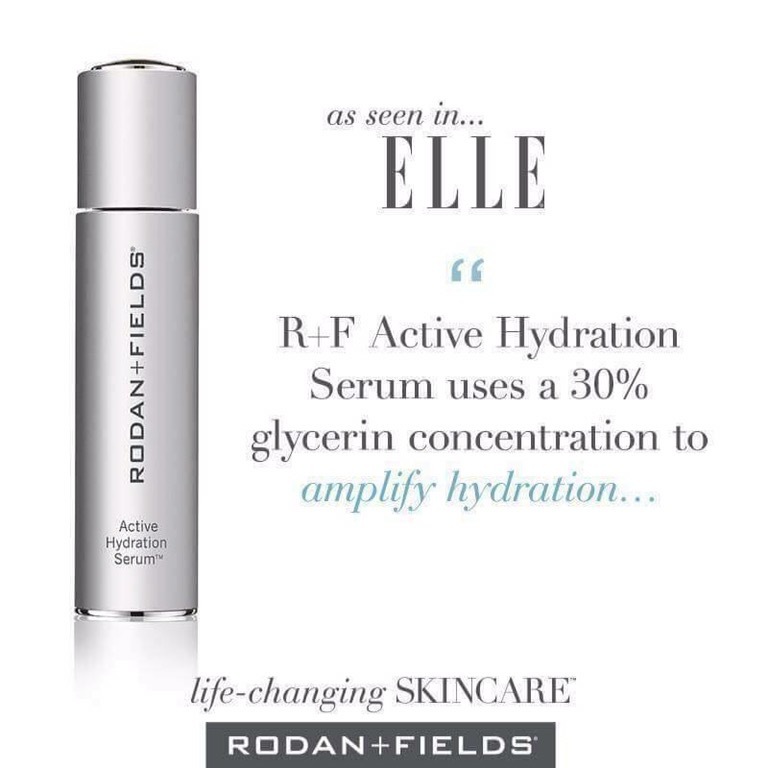 I’m thrilled to get my hands on this serum!!!! 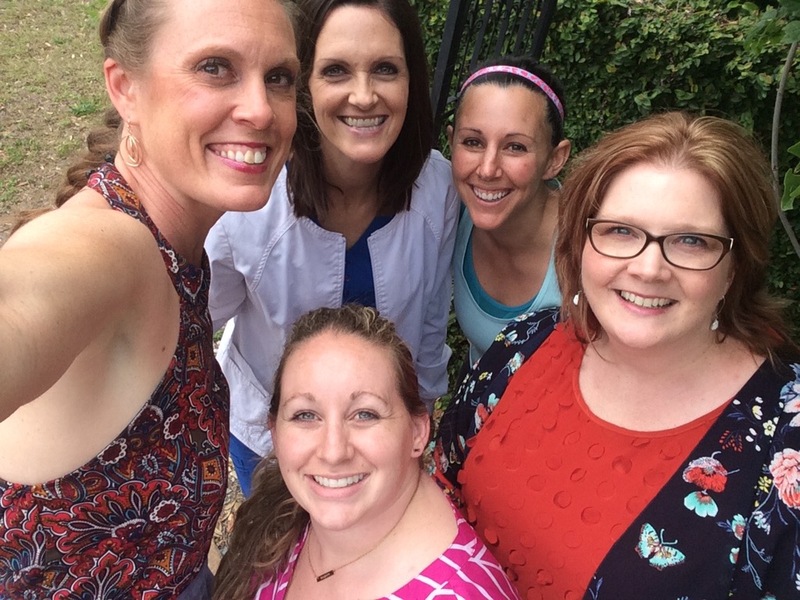 The enthusiasm continued as today some of the local Rodan+Fields ladies celebrated with our own little launch lunch! Excitement over the newest product, Hydration, buzzed as we chatted about the amazing LIVE launch and the anticipation of trying the serum ourselves. Thanks to each of you wonderful ladies for helping making my RF life so fun and vibrate!! My own Hydration Serum is ordered, I can’t wait to see for myself the benefits!! Yay to #RFHydrationNation! Come and join the Birthday Bash. Everyone will be approved when the party starts Thursday, January 12 at 8:00pm. There will be live videos, games, drawings and LuLaRoe boutique shopping with Jessica K.
The Grand prize is a basket full of Rodan+Fields goodies and a OS or TC legging. 1 entry earned for each person you add to the party!! 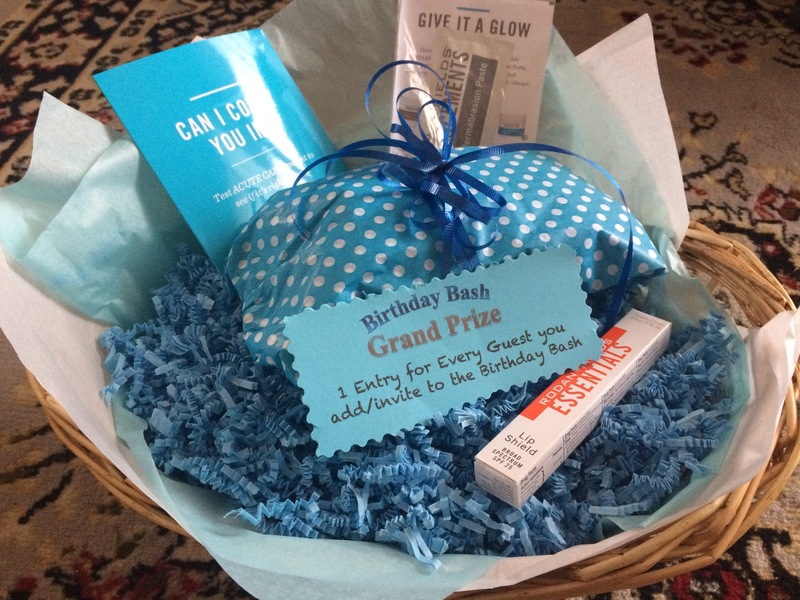 Here is the Grand Prize Basket, it’s just missing the mini eye cream!! For a look at how Rodan+Fields has changed my life, check out my before and after pictures. I seriously love what Rodan+Fields has done with my skin. 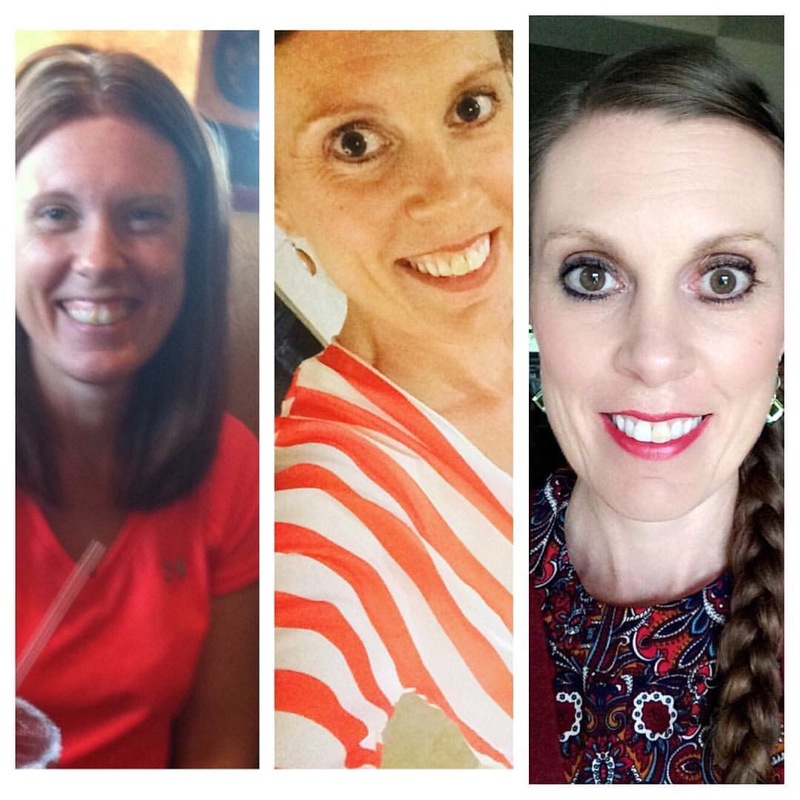 The first picture is before RF, the second last spring and the third last Friday (I do have mineral peptides and make up in the last two pictures). I started with Sooth, moved to Redefine and then Reverse. I now use a combination of Reverse in the morning, Redefine at night and Lash Boost. I turn 40 in 11 days and I feel fantastic!! My results with Lash Boost my me feel so pretty! 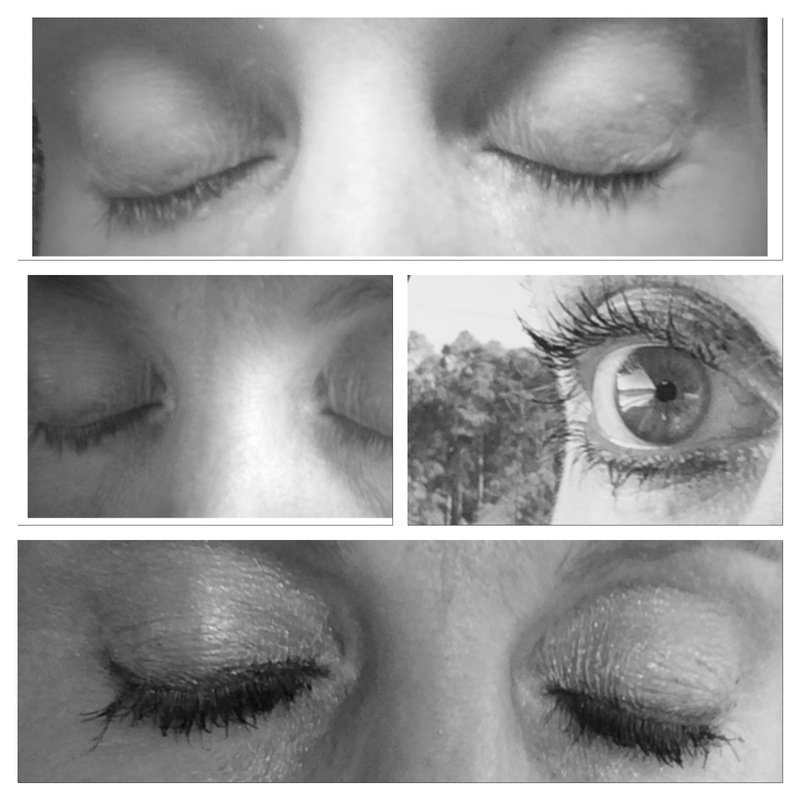 I love my lashes! The first picture is before I started, the second 4 weeks. The third, 8 weeks in and the 4th today (12 weeks). I am wearing mascara on in the last two pictures. Click here for a link to my Birthday Bash Party!!! Husbands and family members are you looking for a simple stocking stuffer or fantastic gift? Rodan+Feilds gift certificates are available through me. For more information, message through my website or comment below.